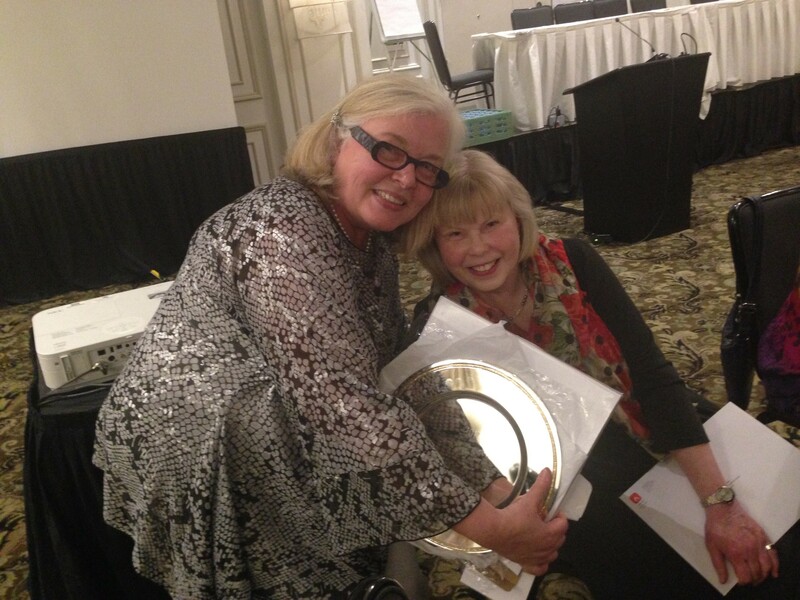 Virginia Durksen, left, and Janet MacMillan with their well-deserved awards. Photo courtesy of Jennifer Glossop. 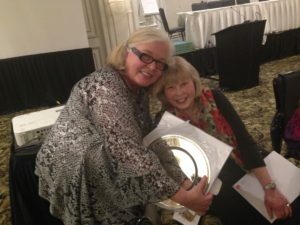 At the Editors’ Association of Canada annual conference held last weekend, our own Janet MacMillan was awarded the President’s Award for Volunteer Service. The award recognizes outstanding service to the organization by member volunteers. 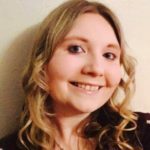 Anyone who knows Janet knows that she is a born volunteer; she is selfless with her time and is involved with so many groups and initiatives, not just in Canada, but also across the water in the UK and in various online groups. We are all delighted for her here at Editing Globally (and we are some of the luckiest beneficiaries of Janet’s time and effort!). Janet had also been nominated for the Karen Virag Award, which was won by Virginia Durksen. A full list of winners can be found here. Congratulations to all the winners and nominees! Congratulations on your achievement, and thank you for your service!